Well, it is Oscar Sunday! Here's hoping it is a more entertaining show than this year's Super Bowl! Before we get to some thoughts on the Oscars, let's take a look at my Top Ten films from this year! The best non-PIXAR Disney animated movie of all time! A fun story with great female protagonists, and a message that you don't feel as bad about your kids seeing (unlike the hidden patriarchal messages usually found in Disney's animated films). Some of the songs aren't terribly clever, but the greatness that is Idina Menzel sells some of them, particularly the popular Let it Go (although Do You Wanna Build a Snowman might be my favorite song in the movie). Ultimately, this would have been a lot higher on my list if there were a couple fewer songs in it (or even better, just Let it Go and Do You Wanna Build a Snowman). There was still a lot to like, however. Unlike typical Disney animated fair, I wasn't positive on how it would end until the very end. 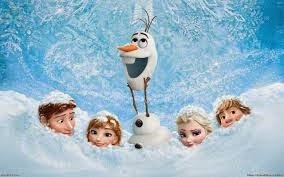 Such a fun film, which will easily and deservedly win Best Animated Feature. One of the best books I've ever read led to some trepidation on how the film adaptation would go. I needn't have worried. While there is a lot that I love from the book that is rushed or skipped in this version (as is almost always the case), the important parts are there, as is the message of the story that is so sadly missed these days by the author himself. This is a tale that has often felt prescient, and now is a perfect time for this story to once again gain some traction so that we perhaps can learn that violence is not the best answer to problems, not even to answer violent actions performed against us. Ender takes some time to learn that lesson, but in the end, he does, and hopefully someday, so can we. The other important message in this film (and even more important in the books that follow in the Ender series) is the idea that no matter how different others seem from us, there are ways that we are alike as well, and there is and should be love. I was very impressed with the adaptation. Guillermo del Toro is one of my favorite directors, and this film helped show why! This could have been just a loud spectacle featuring giant robots and even larger monsters, but at the hands of del Toro there are great characters and a surprising amount of heart. 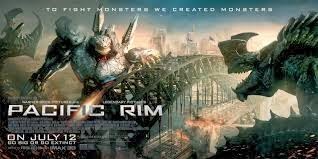 And still everything else you would expect or want in a movie about giant robots and even larger monsters! Imagine this film as directed by Michael Bay (*shudder*), it would have just been explosions and shaky cam, and while there would have been scenes of robots fighting monsters, you wouldn't have been able to follow the action. Instead, del Toro (who gave us the excellent Hellboy films as well as former Top 10 member Pan's Labyrinth) focuses on the characters and the hard lives that the invasion by these monsters have caused. It totally works. One of the films from this year that really benefits from the technology of film going these days, it is masterful when seen on a really, really large screen in 3D. In the Lord of the Rings trilogy, the week spot was unquestionably the middle film, The Two Towers. In trilogy films that are basically one long story, it is usually the middle film that suffers (See the second Matrix as another example). How much danger was this film in of falling into this trap? Peter Jackson had already suffered this fate with The Two Towers, and this was the second film in a trilogy based on a rather short book! Of course, Jackson and the other writers are also using a lot of the ancillary writings of JRR Tolkien to give us a lot of other information about what was happening in Middle Earth leading up to the War of the Rings. It totally works. And the fantastic actors of this film certainly don't hurt. Nothing like seeing Watson face off against a Sherlock-voiced dragon on the big screen. I actually think I enjoyed this one more than the last one! I can't wait for the conclusion to this trilogy. This was another of the films that was meant for and probably helped by a 3D IMAX viewing. I have to admit, I didn't think I would like this movie as much as I did. This was a film told in an interesting and new way, throughout the first part of the film fantasy and reality mix together seamlessly in a way that make the moment when Mitty's real life becomes more fantastic completely believable and immersive. 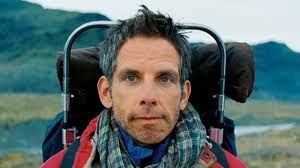 Ben Stiller gives the best performance of his career, not ignoring his comedic abilities, but also highlighting a dramatic ability I didn't know he had! This film was funny, touching, and exciting in a way I wasn't at all expecting. Do yourself a favor and check out one of the films that absolutely should have been nominated for best picture. Even in a year with nine nominees, they can't get it totally right. A film that for the majority of the year held the top spot on my list. Joss Whedon finds himself in a Top 5 spot for the second straight year (although technically Drew Goddard directed Cabin in the Woods, but let's be honest, it was still totally a Joss Whedon film). 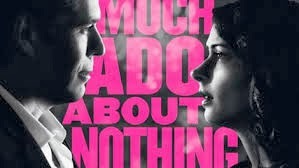 A film that uses black and white to an effect (unlike one of the best picture nominees where it felt much more like a gimmick to me), Much Ado About Nothing combines modern sensibilities with older techniques such as the presentation in black and white and the Shakespearean language. It takes a couple of minutes to get the hang of the language, but when you do, you forget you are watching the filming of Shakespeare and instead find yourself completely immersed. Plus the "hey it's so and so from such and such Joss Whedon work" game is very fun to play. The absence of this film from the Best Picture nominees is the most glaring to me. It deserved much more recognition than it got. That being said, the Academy Awards did a fairly good job this year as the rest of this Top Ten list did all receive Best Picture nominations. A heartbreaking story of one of the darkest periods of history, especially in our country. 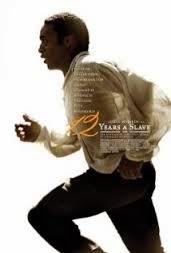 Solomon Northup's tale of kidnapping and enslavement will hit you right where it hurts. There are some amazing performances in this film, including the best work of Benedict Cumberbatch in a year in which he also plays a dragon and an iconic Star Trek villain. But it is Chiwetel Ejiofor who gives unquestionably one of the best performances of the year that makes this such a powerful film. It isn't an easy film to watch, but it is a powerful one. While 12 Years a Slave reminds us of the sins of a few centuries ago, Philomena lets us know that our sins are not relegated to hundreds of years ago, but are much, much closer, and often perpetrated by those who should be fighting sins rather than committing them. Philomena takes quite a few liberties with some of the less important details of the story on which it is based, but the important bits are all true and horrendous to contemplate. The film could have been completely bleak and heartbreaking, but Judi Dench is so good as the title character and gives a tremendous amount of heart and humor to a story that otherwise could have just been dark and depressing. The organized church doesn't come out of this film in a very positive light, but ultimately there are some great Christian messages. Philomena herself shows the power of the message that Christianity too often forgets it is supposed to highlight, the importance of forgiveness even for things that are entirely unforgivable. Back in 2006, I couldn't make a decision between the top two films. In 2007, I almost did it again. In 2011, I almost had a 3 way tie at the top, but neither of those years were as close to needing the tie again as this year was. I made a decision, although I went back and forth on it quite a lot, but this was the hardest choice I've had since 2006. So, onto the almost number one film of the year that just (but very, very barely) missed out on actually being number one. Don't judge this film by the previews or the premise, which is admittedly a little strange. 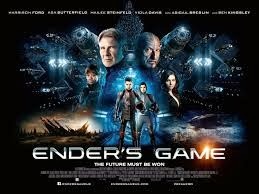 Actually, I think this film is about something a lot deeper than just our rather intense dependence on technology. I would love to know if Spike Jonze (who also directed the fantastic Being John Malkovich, Adaptation, and Where the Wild Things Are) read any process theology before writing this film. Process Theology is the rather new theological thought that views God differently from the classical view of God as intangible and unknowable and largely separate from our world. Instead, in process theology, God is incredibly imminent, experiencing life along with us, feeling the same pain, joy, and life that we ourselves are experiencing. (This is a great simplification of a difficult idea, but it should give you the jist). With process theology in mind, I view this film as an examination of our relationship with God using relationships as a metaphor. The end of a marriage stands in for loss and a romantic relationship stands in for our relationship with God. The film seen through this lens examines how God helps us through pain and loss and changes due to that experience and along with us. It's a fantastic film that makes you think (rather you view it in regards to process theology or not) and makes you believe in a relationship that is anything but conventional. I loved, loved, loved this film. For a lot of different reasons. Like a few other films on this list, this is a movie that is meant for huge screens and 3D. It is an immersive experience when viewed in 3D on an IMAX screen. You find yourself having trouble breathing when Sandra Bullock is running out of oxygen. It is an edge of the seat thrill ride. It is a film that celebrates the human desire to recover, to move on, to live even after the fact of unspeakable tragedy. It is so easy sometimes after traumatic experiences to just give up, to barely function through life, to just drive. Sometimes we have to get kickstarted into remembering that we're still here, we're still alive, and that life, even in the midst of tragedy, is worth living. This film made that point, and in fantastic, thrilling fashion. It's about much more than an astronaut dealing with an accident in space, trying to come home, its about all of us dealing with tragedy, trying to move on. A very worthy film, and one that has a legitimate shot of not only being my number one film of the year, but the winner of the Best Picture at the Oscars tonight as well. Let's take a look at some of the major catagories with my thoughts on who will win (and who even realistically has a chance) and then my thoughts on who should win (but in many cases probably won't). Along with the top four of my top ten, five other films were nominated for Best Picture, so all told, nine movies. This is a three film race. The only possible winners will be Gravity, American Hustle, or 12 Years a Slave, and I think it is really down to Gravity and 12 Years a Slave. Will Win: I'm going to pick Gravity here, but 12 Years a Slave would not be a surprise. Rarely does the winner of this award differ from the Best Picture award, although it has happened more frequently lately. I think it could happen this year. This is really between Alfonso Cuaron for Gravity and Steve McQueen for 12 Years a Slave (also nominated are David O Russell for American Hustle, Alexander Payne for Nebraska, and Martin Scorsese for Wolf of Wall Street). Will Win: Alfonso Cuaron (although legitimate chance for McQueen, who would be the first black winner of this award, so we could see history tonight). Should Win: Alfonso Cuaron. 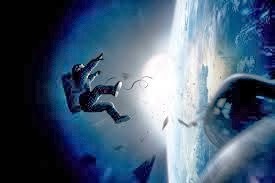 The technical job on Gravity is equal to, if not greater than, it's story. Will Win: Cate Blanchett, although I think Sandra Bullock has a chance. Should Win: Sandra Bullock. I'm not a huge fan of hers, but this was a masterful performance, and a very demanding one as well. If she hadn't won recently for Blind Side, I think she would win hands down this year. The politics of the Academy might keep her from winning because of that recent win (that probably wasn't as deserving a performance). Will Win: Matthew McConaughey (although watch out for a slight upset with the Academy finally rewarding DiCaprio who has been consistently amazing for a few years now). Should Win: Chiwetel Ejiofor gave the best performance of the year in my opinion. Should Win: Lupita Nyong'o, and she has a chance, especially since JLaw won Best Actress last year. Critics loved American Hustle, and this is where the love for that film will be shown (along with the JLaw win). But the screenplay was one of the main problems with the movie for me (it didn't even make my Top 20. It and Nebraska were the only Best Picture nominees that failed to make my Top 20 this year.) Way too much voice over, which is just weak storytelling. 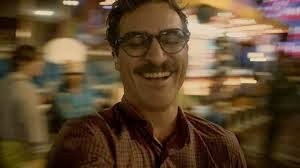 Her, on the other hand, was utterly original and incredibly thought provoking, and much of that is clear in the story and dialogue despite the great performances in the finished film. And Philomena has a chance, but since I think Gravity is going to take Best Picture and Director, I think this is the consolation prize for 12 Years a Slave. 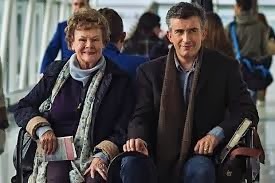 It is a very faithful adaptation from the book, so it definitely deserves the accolade, but Philomena, despite the liberties taken with the actual story, excels at taking a part of the story in the book and making you experience it through Philomena's side. Plus it handles greatly the heartbreak and tragedy of the tale with a perfect mix of humor along the way. Good luck on any Oscar Polls you participate in, and enjoy the show! Until Next Time, don't forget to join in with My Thoughts As I Have Them During the Oscars by tweeting with or following the hastag (#MTAIHTDTO)!